So much more than just bigger. The hardest thing about writing an iPhone review is staying away from the cliche terms. Lighter, faster, thinner, and in this case – bigger. While it’s in Apple’s culture to include these specific enhancements, there are times when it’s not just about those basic foundations. Once in a while, a new hardware generation comes along and provides the opportunity to use new words. These words can range from refreshed, renewed, or even unforgettable. I use those terms because the iPhone 6 Plus feels refreshing. It has provided a renewed experience in using the iPhone. I’ve upgraded to every iPhone on launch day since the iPhone 3GS and while they are all unforgettable in their own way, the iPhone 6 Plus will be a completely different type of unforgettable. There have been a few specific points in my life that have caused a level of astonishment like never before. The first time I used an iPhone 3GS in 2009, the first generation iPad and iPhone 4 in 2010, the iPad Mini in 2012, and now the iPhone 6 Plus in 2014. Each of these experiences has raised the bar in what becomes expected in technology, but were completely unheard of before it. Seeing the Retina display on an iPhone 4 for the first time was never thought possible, but from that point on you would not know how to live without it. The iPad also launched in 2010 to strong feelings of it simply being a bigger iPod Touch. That is exactly what it was, yet went on to change the entire world. The iPad Mini assisted in offering a low cost tablet solution to become more integrated in certain markets. Using the iOS software on a new display size has proved to provide a completely different experience and purpose than any other device in the family. For the last few years, many people including myself have ridiculed large display phones. Even with Apple’s latest offering, there are people who continue to laugh at its purpose in the market. These people may be content with smaller screens but it’s no secret that Apple has been losing market share to manufacturers that offer larger devices. Moving from a 3.5″ display on the iPhone 4s and earlier to a 4″ on the iPhone 5 and 5s was a clear sign that Apple wanted to accommodate to those people. Increasing the display by half an inch still allowed ease of use with one hand. Apple even ran a marketing campaign to prove that a 4″ screen was the optimal size for phones. It’s incredible to see how much can change in only two years. 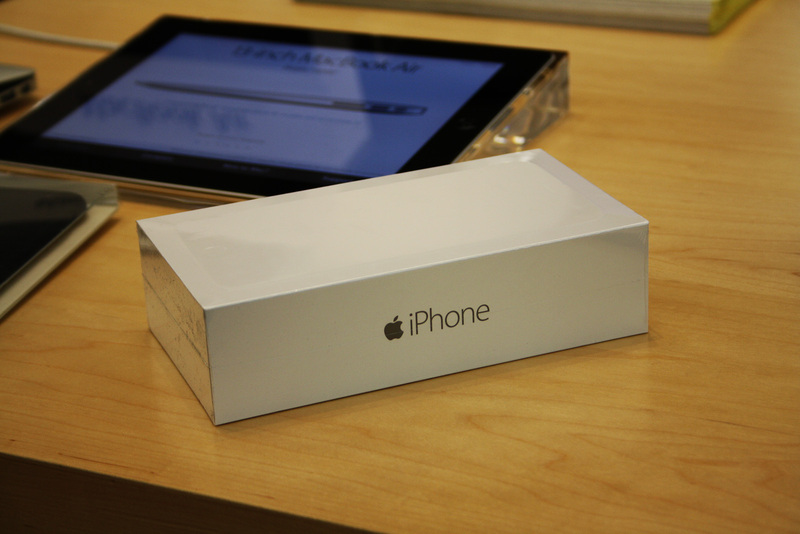 When Apple unveiled the iPhone 6 and 6 Plus, I was hesitant on the larger size. I had never owned one before and my experience using them was limited to in-store demos. The decision was finalized when I realized that the exclusive hardware features on the 6 Plus would warrant taking the risk. When the iPhone 5 was released, the size change was apparent but not lifestyle changing. The new row of icons and widescreen format delivered a great experience at the time but started to show its age sooner than expected over this past year. I had a feeling that upgrading to the iPhone 6 would have simply brought the same result. It features a higher resolution display but keeps the same pixel density. The iPhone 6 Plus has a significant bump in resolution and also increases the pixels per inch by 75. I wanted to go a little more in-depth on the display since it is the main attraction to the iPhone 6 Plus. Featuring a full 1920x1080p resolution, it plays native HD content without a problem. I have an expansive media library filled with HD content and it looks incredible on this screen. Colours are sharp and vibrant, unlike anything seen before in a mobile device. Apple labels it as a Retina HD Display. It even sits above my iPad Air because of the PPI difference and other small enhancements such as an increased contrast ratio. Simple activities like viewing photos are almost a new experience. I feel that a Smart Cover for this device would be beneficial to prop it up for watching videos. The screen is also clear from a small distance, resulting in comfortable viewing at a desk or on a nightstand. Aside from media content, the home screen appears different as well. The display’s glass is rounded at the edges to make the icons appear to be floating when mixed with the parallax feature. While the increase in quality may not be as apparent as the change from an iPhone 3GS to the iPhone 4, there is a noticeable improvement. Focused to out perform everything else. A few internal hardware changes were made, starting with the processor. 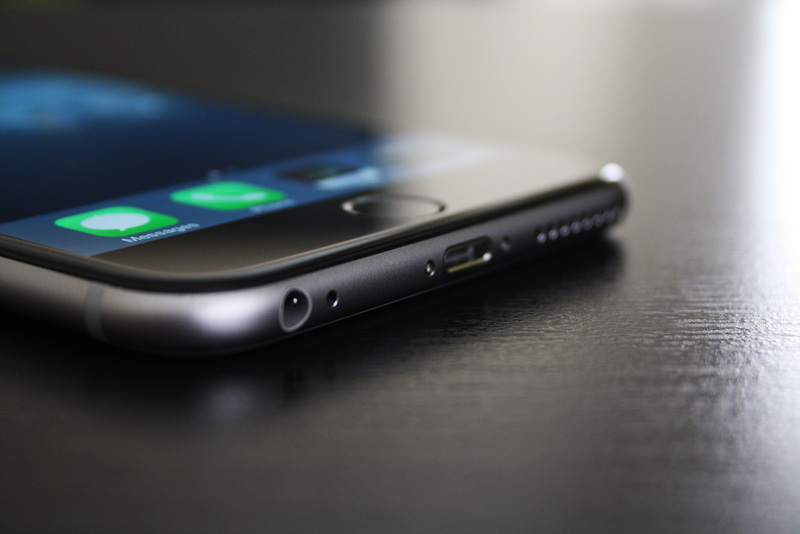 The iPhone 6 uses a new A8 64-bit chip that also hosts an M8 co-processor for motion tracking. This new setup began last year with the iPhone 5s and helped reduce strain on the main processor by passing off the activity monitoring to the secondary one. The M8 features tracking for elevation and distance using a new built-in barometer. This information is relayed into the new Health app within iOS 8. Users can monitor data over a period of time or use it to create a digital health portfolio for their doctor. The LTE antenna was upgraded to support VoLTE, enabling users to make voice calls over a data connection. This functionality relies on carrier participation and will be implemented in the near future. Wi-Fi was upgraded to AC, which provides 3x faster speeds than N. My initial tests were showing 150mbps download, compared to 40-50mbps on previous generation iOS devices. A Wi-Fi AC compatible router is required to take advantage of this new feature. Near Field Communications (NFC) has been integrated but is currently only limited to use with Apple Pay. The camera also received some enhancements. The 8MP sensor now features Focus Pixels, which assists the lens in focusing quicker and more efficiently. Standard features such as Auto Image Stabilization, the True Tone Flash, and a Five Element Lens are now joined by a Sapphire Crystal lens, f/2.2 aperture, and Optical Image Stabilization exclusively on the iPhone 6 Plus. A mechanical part is located inside that will use the gyroscope to move in tandem with the user to balance out the frame. This helps anyone easily create professional level quality video recordings. 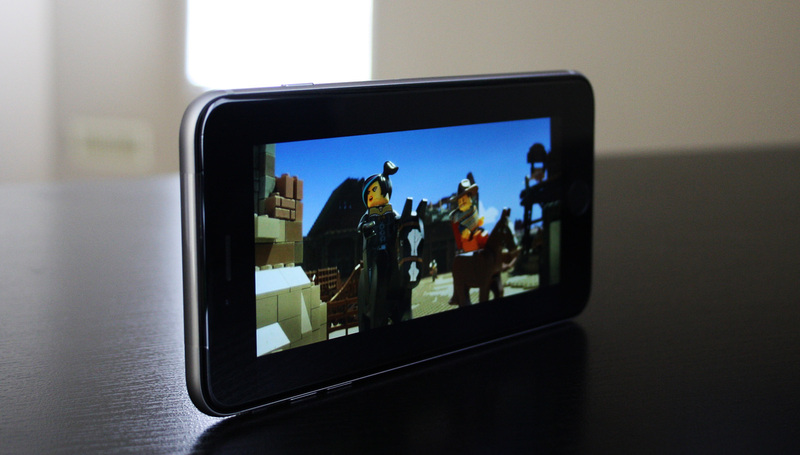 Video can now be recorded in 30 or 60fps and Slow-Mo is now capable of 240fps. Here are a few examples of unedited photos from the iPhone 6 Plus. Go ahead, enjoy it all day long. 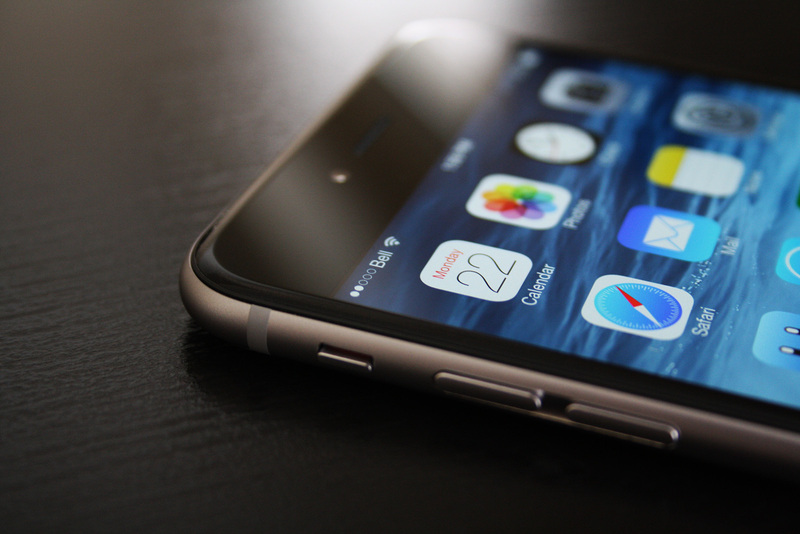 The battery was upgraded on both iPhone 6 models, with the 6 Plus receiving an even greater increase. Apple has rated them to perform as good or better in each category compared to last generation. My initial tests were able to reach about 8 hours of usage and 15 hours of standby before fully depleting. It will continue to improve as the settings are tweaked to my personal preferences. I’ve never had issues in the past, but I can foresee the iPhone 6 Plus being used more frequently. While the iPhone 6 is the true successor to the iPhone 5s, Apple decided to offer another option to the adventurous ones who want to experience something new. This device brings a $100 premium in each storage size for the larger screen, better battery life, and Optical Image Stabilization. Storage capacities have been changed for the first time since the iPhone 4s by replacing the 32GB model with a 64GB version and adding in a 128GB as the top end unit. The pricing system remains the same, starting at $199 ($259 in Canada) on a two year term and increasing by $100 for each storage size. The iPhone 6 Plus starts at $299 ($359 Canadian) for a 16GB. Both models have the option of Space Grey, Silver, and Gold. I never thought I would see myself owning a large display phone. After using it now for the last few days, I don’t think I’ll ever be able to switch back. One important decision I made was to sell my iPad Air after acquiring the 6 Plus. I feel that it will supplement most of the needs I had from the iPad. Having a bigger phone will provide the best of both worlds. Reading Twitter, playing games, and completing everyday tasks have been a seamless transition. All of them more enjoyable compared to the iPhone 5s and in some case the iPad, since the 6 Plus is smaller and less cumbersome. There are lots of people that fully intended in buying the 6 Plus and then switched to the iPhone 6 on launch day because of the size. There are also plenty of people who moved away from iPhone to other platforms because they desired a larger screen, and will now return. My best recommendation would be to hold them in your hands. Put them in your pockets and see how it fits into your everyday life. They are both incredible phones, but it requires a larger commitment to take full advantage of the bigger display. There is one cliche phrase that needs to be said to close out this review. The iPhone 6 and iPhone 6 Plus are by far the best phones that Apple has ever made.